What does the court decision quashing Ontario's council-cutting move mean? An Ontario judge has struck down legislation from the provincial government that cut the size of Toronto's city council nearly in half in the middle of a municipal election. In response, Premier Doug Ford is invoking the rarely used notwithstanding cause to get his law on the books. Here's a breakdown of the dispute and what it means for the Oct. 22 municipal vote. What triggered the court challenge? Ford abruptly announced Bill 5 -- also known as the Better Local Government Act -- in late July. It cut the number of Toronto council seats from 47 to 25 and forced city officials to scramble to change the rules of an election campaign that was already underway. The province's move, which aligned ward boundaries with federal and provincial ridings, drew outrage from many Toronto residents and councillors. The city and other parties subsequently launched a court challenge. What were the arguments on both sides? Ford, a failed Toronto mayoral candidate and one-term city councillor, said reducing the number of councillors would speed up decision-making while saving about $25 million. City lawyers argued the move was arbitrary and discriminatory, zeroing in on the fact that it was introduced mid-campaign without consultation. They further argued Bill 5 violated the Charter of Rights and Freedoms. What did the judge rule and how did he reach his decision? Superior Court Justice Edward Belobaba ruled against the province and grounded his decision in charter arguments. He ruled that Bill 5 infringed on freedom of expression for both candidates -- because it came into effect in the middle of a campaign -- and voters -- because it doubled the population of city wards and therefore limited residents' access to fair representation in city government. 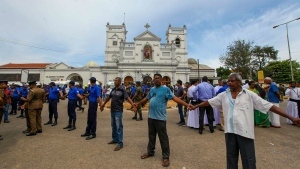 Belobaba acknowledged that the timing of the province's legislation had been a key factor, saying the government was free to table similar legislation in the future. What do experts make of the judgment? Emmett Macfarlane, a political science and constitutional law professor at the University of Waterloo, questioned the judge's use of freedom of expression arguments in his decision. "It's basically using freedom of expression as a back door for voting rights arguments," he said. "The two rights are definitely related to each other, but the judge, in my view, doesn't do enough to justify why freedom of expression is principally the right infringed here." Alexandra Flynn, a lawyer and city studies professor at the University of Toronto, praised the judge's approach and said his arguments around the timing of the election were sound. How did the government respond? Within hours of Belobaba's decision, Ford announced that the government would simultaneously appeal the ruling and invoke the notwithstanding clause, a constitutional provision that allows provinces to override the charter for a five-year term. Constitutional lawyers said invoking the notwithstanding clause will allow the government to achieve its goal of putting a smaller council in place immediately, while a successful appeal would enshrine the changes permanently. What does this mean for the election? Belobaba's ruling indicated the city should proceed with the election on the basis of a 47-ward structure. But if Ford successfully invokes the notwithstanding clause and reintroduces Bill 5, the 25-ward structure will prevail on Oct. 22. What does this case mean for other municipalities? Both Macfarlane and Flynn said the broader impact of the case is hard to gauge, since the circumstances behind it are so unusual. 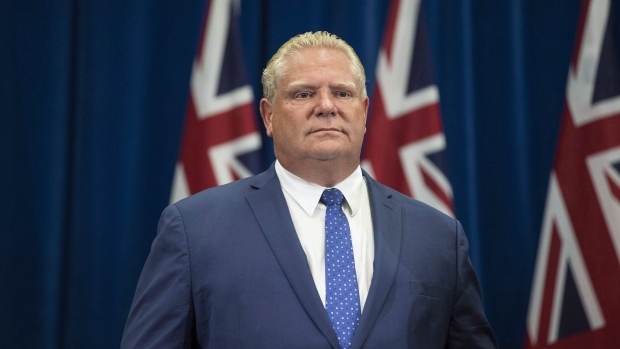 Last month, Ford told politicians from other municipalities across the province that he has no plans to cut their governments.